The live stage version of the CBeebies series kicked off its nationwide summer tour last week. A host of television stars including Coronation Street’s Kym Marsh took to the Showdome at The O2 this weekend to attend the premiere of In The Night Garden Live 2014. The live stage version of the popular CBeebies series kicked off its nationwide summer tour last week, and will run until September 13th. Marsh was joined by celebrities including EastEnders’ Jacqueline Jossa, celebrity cook Gizzi Erskine, comedian Mark Watson and more for the launch of the show from Mino Entertainment. 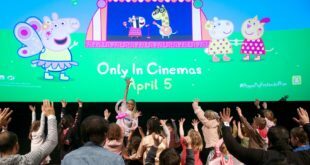 The special event featured a party with entertainers before the audience watched the Ninky Nonky Show, while children were given the chance to meet In The Night Garden characters, Igglepiggle and Upsy Daisy. Kids also went home with an In the Night Garden magazine, courtesy of Immediate Media Company and and Igglepiggle, Upsy Daisy and Makka Pakka toys from Golden Bear. 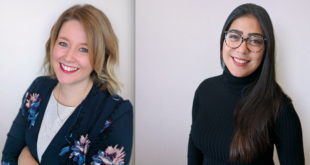 “With the recent launch of CBeebies Land, nomination for the Most Memorable Character on Children’s BBC in the Radio Times poll and now our In the Night Garden Live celebrity event, the brand is going from strength to strength,” said DHX Media brand director, Victoria Bushell. In the Night Garden Live will be playing at the O2 Live Quarter, London until June 14th, Richmond Old Deer Park from June 21st to July 5th, Birmingham’s Cannon Hill Park from July 12th to 26th, Manchester’s Trafford Centre from August 2nd to 23rd and Glasgow’s Queen’s Park Recreation Ground from August 30th to September 13th.